In honor of National Grilled Cheese month, thank you Sara Lee® Artesano™ Bread for partnering with us on this totally delish Southwestern Style Grilled Cheese Sandwich recipe. Plus, since April just happens to be National Grilled Cheese month (can we love that there is a whole month dedicated to the amazingness that is grilled cheese sandwiches? ), I thought this was an excellent time to see how my new creation would come together. When I discovered this new Sara Lee® Artesano™ Bread at Wal-Mart I knew it would be perfect for this grilled cheese recipe. 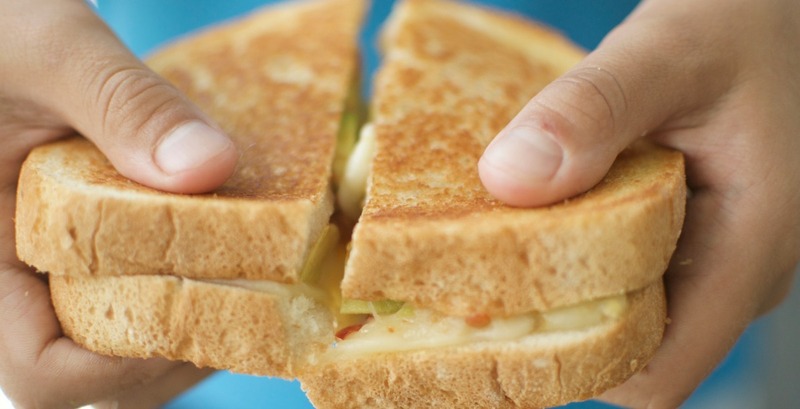 This grilled cheese sandwich is packed with so much flavor. 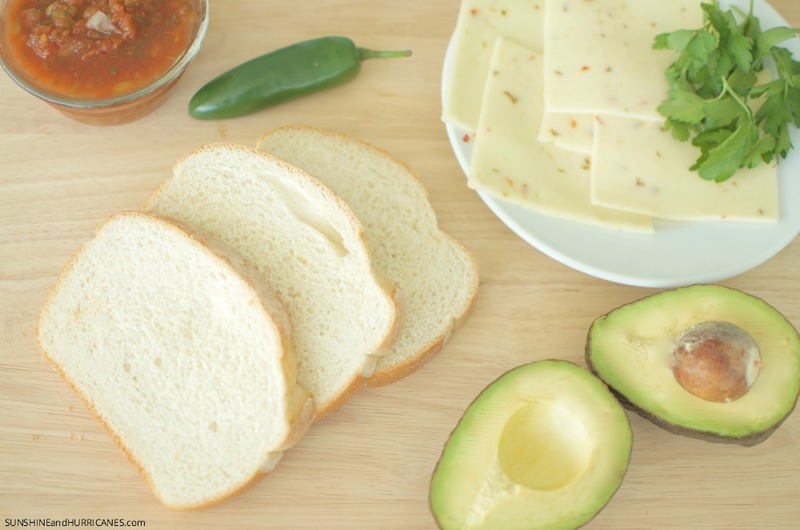 It’s a perfect combination of Southwestern tastes including cheese, avocado and salsa. That’s quite a few ingredients to pack into a sandwich, but all I can say is “Wow!” It was a huge hit with my whole family. My kids gobbled it right up, I couldn’t believe it! 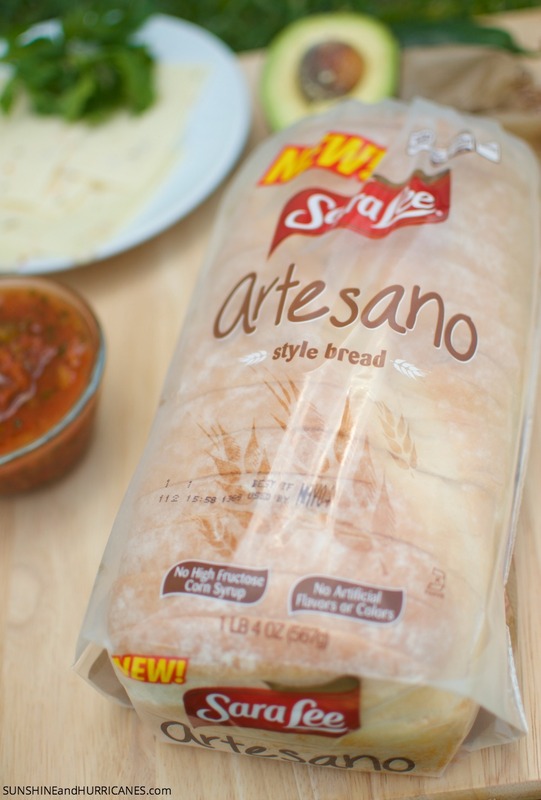 You’re going to need just the right bread to accommodate all those fresh ingredients. This is where the new Sara Lee® Artesano™ Bread came in. The hearty Italian slices, which are just like bakery bread, held strong under the weight of the gooey cheese and other fillings. In fact, I was a little worried I might end up with some soggy bread using salsa on the sandwich, but it came off the griddle crispy on the outside, while the inside was still all soft and fluffy. Okay, so here is what you are going to need. 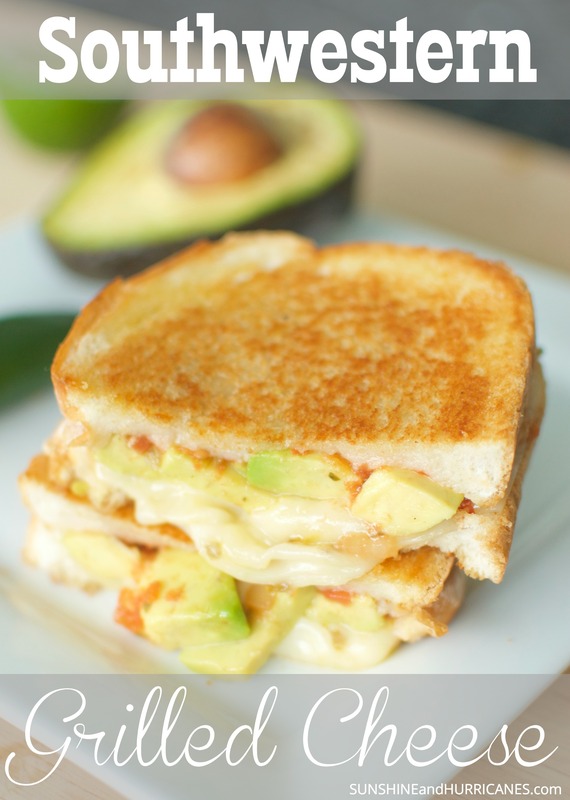 Start by slicing up your avocado so it’s ready to go, because assembling the grilled cheese sandwiches goes pretty quick. Pre-heat a fry pan or griddle on medium heat (300 degrees on a griddle). I use a pancake griddle for making grilled cheese sandwiches for my whole family. That way I can make them all at once. If the pan or griddle isn’t non- stick you’ll want to just lightly coat it with butter or cooking spray. Now, butter several slices of the bread doing your best to spread it as evenly across the bread as possible. You can let the butter sit out for a few minutes before doing this or even pop it in the microwave for ten seconds. This step is KEY to that crispy and golden outside crust that makes or breaks a good grilled cheese. Next, place several slices of bread, butter side down in your pan or griddle. Tope with 2-3 slices of the pepper jack cheese, then a few slices of avocado and finally about a Tbsp of salsa. Top with another slice of butter bread with the butter side up. little side note: I included a jalapeno pepper in the photo, because if you are someone who REALLY loves spicy food, you could absolutely sprinkle some chopped up jalapeno on top of the salsa as well to crank things up. Let the sandwich cook for about five minutes and then flip-over and finish with another five minutes for the other side. You want it to get that nice golden brown color, so don’t cook it too fast and it may take a little more time on each side. Serve it up hot with chips and salsa on the side for a perfect Mexican themed family meal. Are there any other toppings you would add to our Southwestern Grilled Cheese to make it even more spectacular? This Southwestern Style Grilled Cheese was a sponsored post written by Sunshine and Hurricanes on behalf of Sara Lee® Artesano™ Bread. Photos, Ideas and opinions are totally our own. I love putting avocado on grilled cheese. 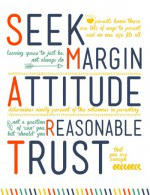 And just about everything else, for that matter! Such a great looking grilled cheese! Love the avocado’s in it! Now THAT is a grilled cheese sandwich! Looks delicious! Looks like a great grilled cheese. Love the avocado…and the heat from the pepper. 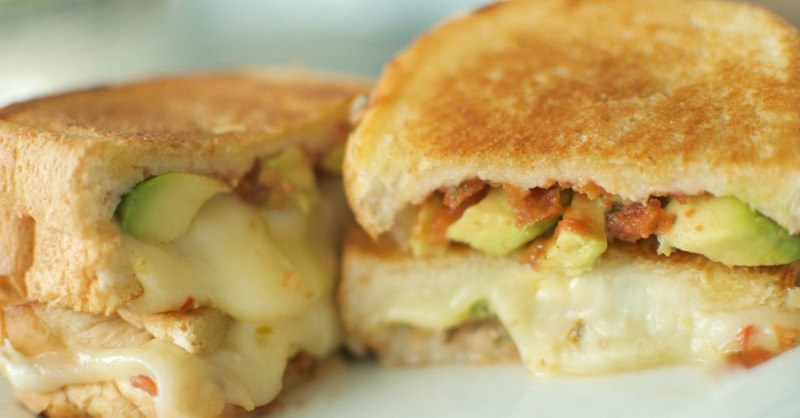 Bacon and avocados on are my favorite on a grilled cheese. Southwestern-style grilled cheese is my new favorite style of grilled cheese. I always say avocado makes everything better.